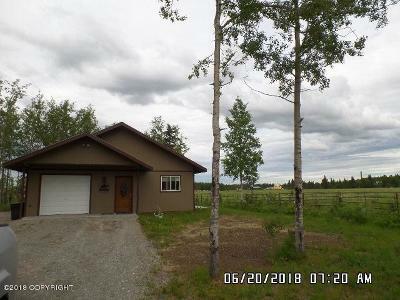 Cute as a button and buffered next to the foothills off Echo Lake Rd, this newer constructed, well maintained 2 bed 1 bath 960sf ranch home was designed for simplicity, efficiency and ease of use. Painted with earth tones and ready for move in. Home boasts family room, laundry room, covered porch area, circle driveway and has a great pastoral view. Non-smoking home! Built to 5 star energy Standards! Energy rating is not certified due to additional cost. All utility bills available. Many handicap accessible features such as layout, front door, bathroom, master bedroom, 36" doors. RV hookup on house for electric and septic. Additionally, house has been wired for generator operation in case of blackout. Owner has never had a Generator and owner will not purchase. All furniture, artwork dishes, pots and pans are negotiable separately. Purchase of shed is negotiable separately. Owner has PUR 102. Seller has building plans, energy and building inspections. Seller states borough square footage is incorrect. Home is 960sf, garage is 220sf, total is 1200sf in entirety. Buyer and buyer agent to verify all in listing.